A new name in watchmaking, Okletey makes an impressive debut with Merry Go Round, an aesthetically pleasing flying tourbillon in a watch that uses forms, materials and nuances to great effect. 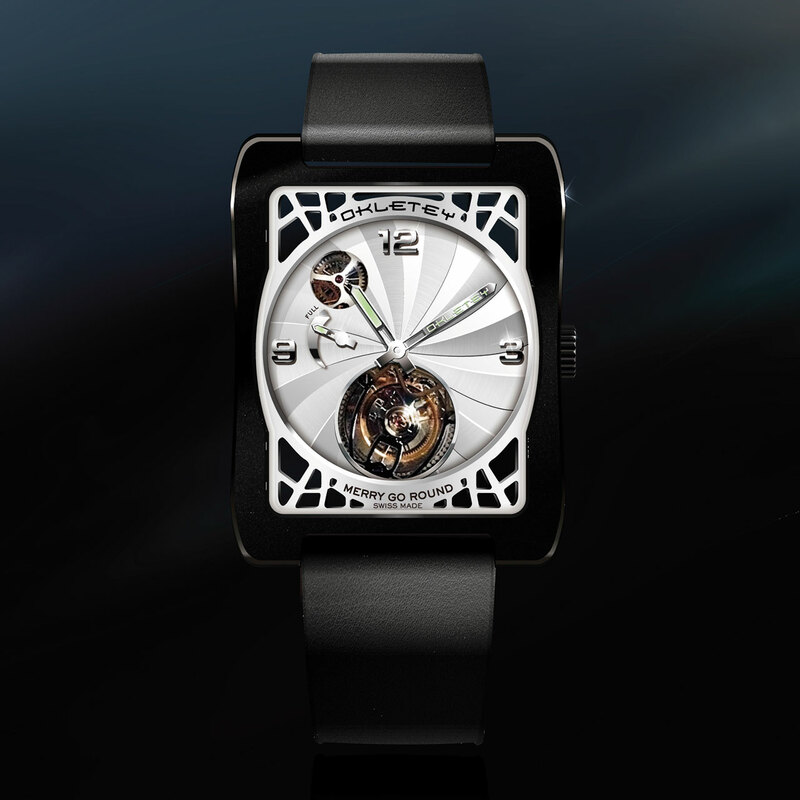 The rectangular steel case with black PVD treatment encloses a silver dial, composed of a central circle with an original guilloché motif, itself surrounded by a skeletonised "spider's web" structure. The tourbillon, which takes pride of place at 6 o'clock, completes the tableau. Sharing the dial is a power-reserve indicator at 9 o'clock and, at 11 o'clock, an opening that reveals the differential.